DMK President MK Stalin on Monday demanded the registration of a case against US-based Cognizant Technology Solutions for bribing Tamil Nadu government officials in an effort to secure construction permits. He also urged the Central Bureau of Investigation (CBI) and Interpol to obtain evidence against Cognizant. Cognizant was last week fined $25 million by the United States’ Department of Justice for the bribes, and two of its former executives were charged on 12 counts. In a statement, Stalin also said that Prime Minister Narendra Modi-led BJP government should assist the state's Directorate of Vigilance and Anti-Corruption (DVAC) in acquiring evidence against Cognizant from US courts. Cognizant recently settled the bribery case by agreeing to pay about $25 million to the US Department of Justice (DOJ) and the Securities Exchange Commission (SEC). Bribing of foreign government officials is an offence under the US under the Foreign Corrupt Practices Act. "In total, the resolutions require the company to pay approximately $28 million to the DOJ and SEC. This amount is consistent with the accrual previously recorded by the company," Cognizant said. Cognizant had admitted that it had paid about $2 million as bribe to Tamil Nadu government officials through its construction company to get the construction permits. A Livemint report said that Cognizant routed the bribes through Larsen & Toubro (L&T) in the three years to 2015. "The construction arm of India’s largest engineering company made illicit payments and Cognizant reimbursed the money by disguising it as compensation for cost overruns," Livemint reported. However, L&T later released a statement, saying "..we are not aware of any evidence that supports our involvement in making the alleged improper payments. We confirm that neither we nor any of our employees are a party to the proceedings brought in the United States." Stalin, in his statement on Monday, said the AIADMK government has brought a permanent blot on Tamil Nadu in the global arena by demanding and accepting bribe from Cognizant in 2014 to give construction permits for the KITS Campus in Shollinganallur. 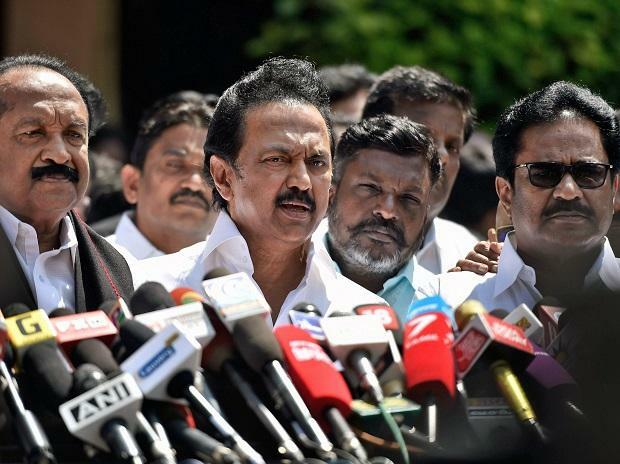 "It should not be thought that the bribe was demanded at the official level alone, as it was the AIADMK ministers who order the officials to demand bribe for them," said Stalin.